TestImages, Test all Frames/Images for the Kinect. SkeletonMaskDepth, Skeleton positions are mapped to match the depth and body index frames. SkeletonColor, Skeleton is mapped to match the color frame. Skeleton3d, 3d Skeleton example needs love. 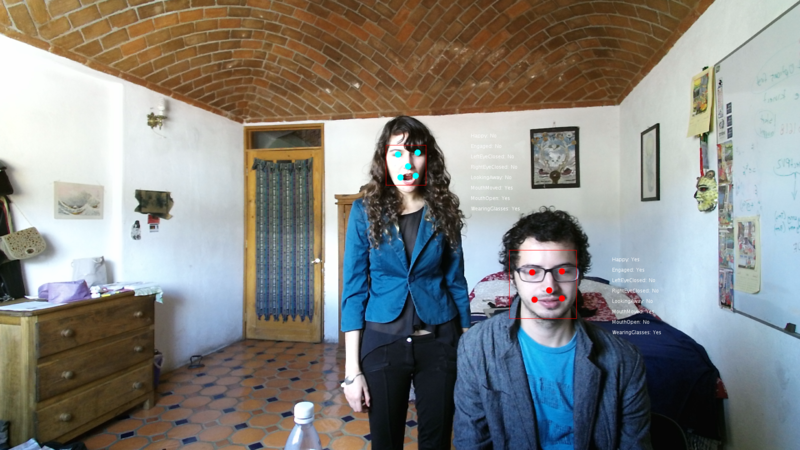 SimpleFaceTracking, simple face tracking with mode detection. PointCloudOGL, Point cloud depth render using openGL and shaders. PointCloudDepth, point cloud in a single 2d Image and threshold example. PointCloudColor, Point cloud in color, using openGL and shaders. MaskTest, Body Index test, and body index with depth. MapDepthToColor, depth to color mapping, depth frame is aligned with color frame. 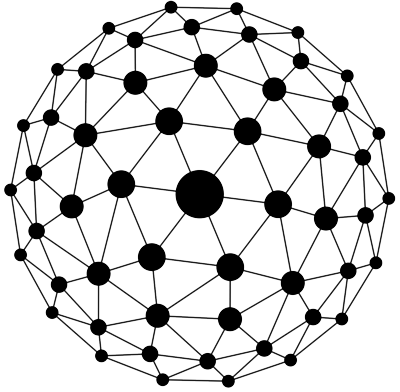 HDFaceVertex, Face vertices are match with the HD color frame. HDColor, 1920 x 1080 RGB frame. DepthTest, Depth test with raw depth data. CoordinateMapperRGBDepth, example broken, check 0.7.2 version. RecordPointCloud, simple OBJ recording of the point cloud positions. To get started with the library, you need to import KinectPV2 library and initialize the class. To activate various functionalities of the K4W2, just call the enable methods before the kinect.init() function. To access the raw data from each Image, activate them in the setup to process the raw data. 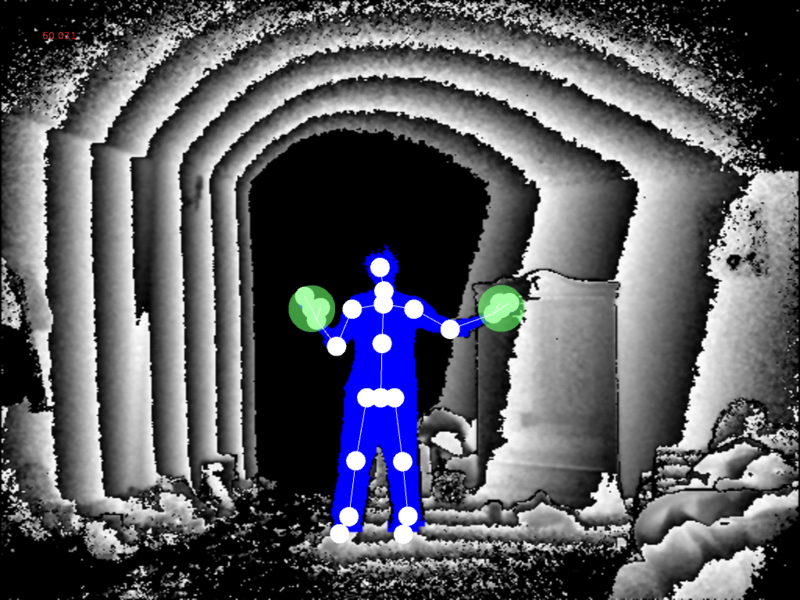 The depth, infrared and mask(body tracking) are captured with only one resolution 512 x 424 pixels, a higher resolution than the previous Kinect. Obtain the depth, infrared and mask just activate them in the setup and then initialize the KinectPV2 class. Access the skeleton positions from the Kinect, the skeleton detection supports up to 6 users with 25 joints and hand three states open, close and lasso. Depending on your application you can either activate the color map skeleton or depth map skeleton. What this does is maps the skeleton to the RGB Image or the Depth Image. So each position of the skeleton corresponds to the RGB Image or the Depth Image. When doing this kind of mapping, the skeleton only produces 2 coordinates (x, y). If you need the z coordinate, is possible to obtain it from the pixel position of the depth Image or the color Image. Another solution is to use the 3D Skeleton. Or another way is to compare the distance between x and y position to produce a changing depth value. The kinect is capable of face tracking with mode detection up-to 6 users. 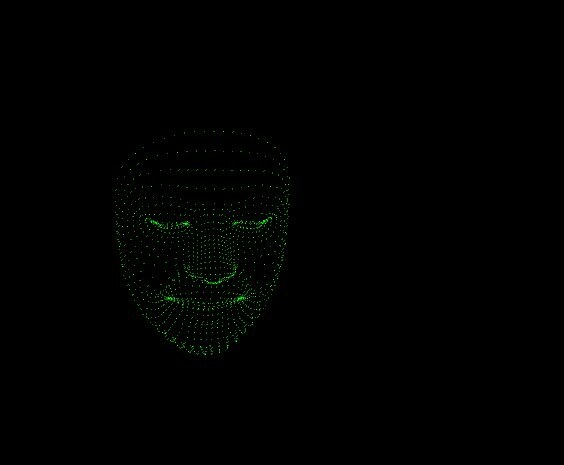 The face points information are mapped to the color frame of the kinect. Its also possible to obtain information about the mode of the user such as happy, unhappy, turning left, turning right, eyes close and many more. The library can access the HDFace detection information of 6 users. Wit the detection is possible to obtain up-to 1347 2d vertex point of face. The vertex positions are mapped to the RGB frame. // 1347 Vertex Points for each user. To render the point cloud (depth amap) at 60fps some openGL calls are needed. Most of the work is done by using openGL vertexs buffers. First, obtain the float buffer with all depth positions (x, y, z) mapped to the camera space. The float buffer is basically a big array of floats. The good thing about the FloatBuffer class is that you send it directly to openGL vertex buffer. The GPU does all the work of rendering the float buffer into the scene. After creating the FloatBuffer with the point could positions, just draw the point cloud buffer. To access the depth distance information, you can use the point cloud data to extract distance data between objects, as well the actual distance from the kinect to any user. //Threahold of the point Cloud. Using the same idea as the point cloud vertex buffer is possible to render a point cloud with color from the information of the RGB frame. In the color point cloud example, just by adding an extra float buffer, the color frame, openGL unifies both buffers color and vertex. The positions of the point cloud are mapped to the color frame, so each vertex corresponds to a individual pixel of the RGB frame. KinectPV2 library also includes a example in how to find contours using the openCV library by Greg Borenstein. Initialize both classes KinectPV2 and openCV. Process the contour from either use the mask Image(bodyIndex Frame) or the point cloud depth threshold frame. The good thing about using the point cloud is that you can set a minimal and maximal threshold distance from the Kinect to find contours. While the mask image you can extract an almost perfect silhouette from the user.